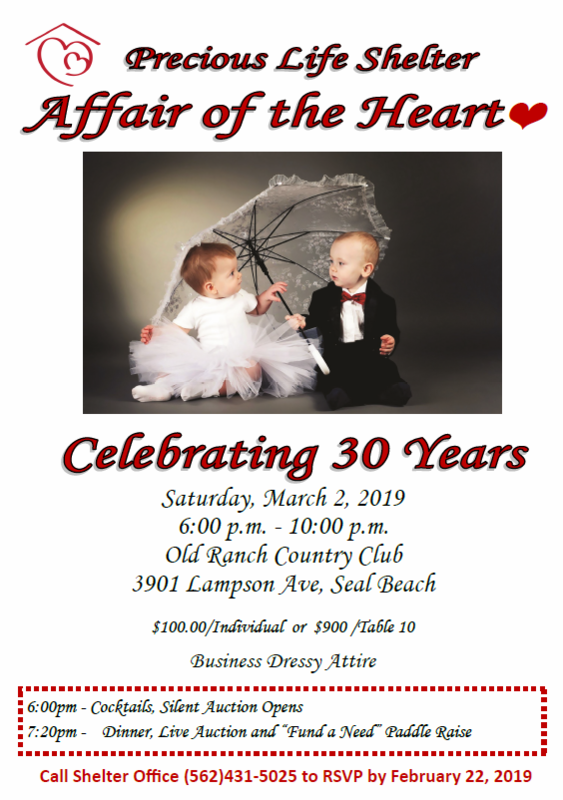 You are invited to Precious Life Annual Affair of the Heart "Celebrating 30 Years, Gala" March 2, 2019, to be held at Old Ranch Country Club, Seal Beach. This annual event is our primary fundraiser to continue to move the homeless to housed as we embark upon our 30th year of service. We thank you for standing with us as we continue to help anyone seeking our assistance.